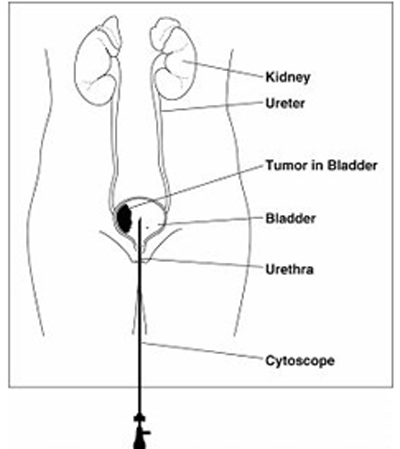 TURBT (Transurethral Resection Of The Bladder Tumor) India offers information on TURBT (Transurethral Resection Of The Bladder Tumor) in India, TURBT (Transurethral Resection Of The Bladder Tumor) cost India, TURBT (Transurethral Resection Of The Bladder Tumor) hospital in India, Delhi, Mumbai, Chennai, Hyderabad & Bangalore, TURBT (Transurethral Resection Of The Bladder Tumor) Surgeon in India. 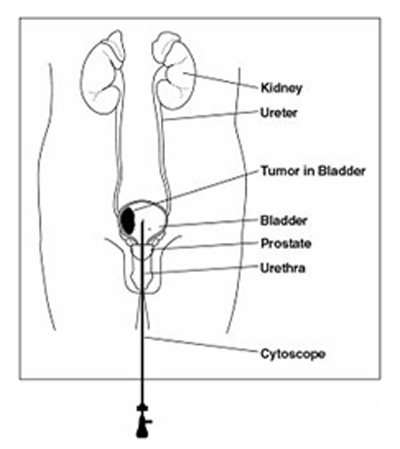 Transurethral resection of bladder tumour (TURBT) is a procedure used to diagnose bladder cancer and remove unusual growths or tumours on the bladder wall. Your urine may be bloody, but it should clear 2 – 4 days after you are home. Blood in your urine may last up to 4 – 6 weeks. You may have some irritation and burning with urination. Drink plenty of fluids, 10 – 12 (8-oz.) glasses per day.